Of the Spruces, Colorado Blue have among the best needle retention. 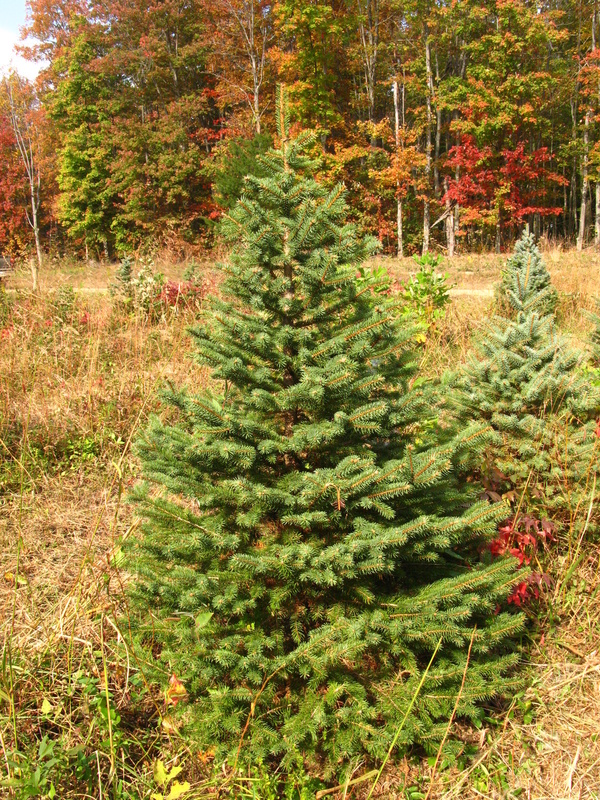 In this regard they also outcompete Fraser Fir. 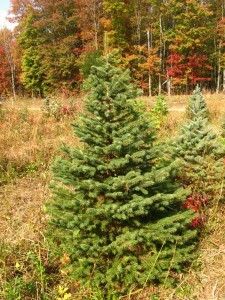 With but minimal trimming from us, Colorado Blue Spruce grow into a perfect Christmas tree shape, and the color of their foliage often achieves an intoxicating aquamarine. The attractive color of their needles comes with a price though – they are surprisingly sharp. Hanging ornaments will certainly be a prickly experience with one of these trees. On that note, the limbs of the tree are stiff and can support most ornaments, but they are not quite on par with Fraser and Nordmann Fir or Norway Spruce. Even though needle retention on Colorado Blues is not bad, we still recommend buying this tree dug, if only because it is such a shame to have to put a tree that grows so beautifully on the curb after Christmas.